Come see how strawberries grow and enjoy a farm experience while you have fun picking our juicy, delicious Ontario strawberries. 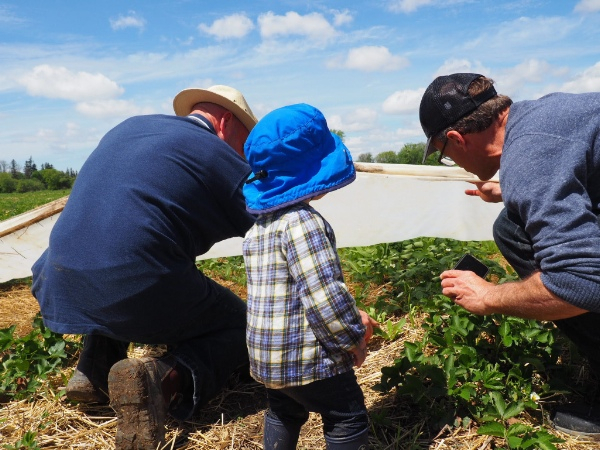 It’s our 30th year of Pick Your Own (PYO) strawberries and it’s so much fun to meet grandparents, parents and children who make it a tradition to pick strawberries together in our fields. No time to pick? We have plenty of ready-picked strawberries available by the litre and by the flat in our Farm Market and at Reesor’s Market & Bakery, Main St., Stouffville. We plan to have PYO strawberries available until early July, but strawberries are very sensitive to the variables of heat and rain, so please plan to pick soon. Our planned PYO hours for June 18 and June 20-25 are 8 am-5 pm, but may change according to the weather. Please call 905-640-4568 for a pre-recorded message about hours and picking conditions for the day you plan to come pick. Please remember we are closed Sundays. Free admission to the field. Straw between the rows and under the berries making it more comfortable for you and keeping the strawberries cleaner when it rains. Helpful, friendly staff at the fields to assign you rows of strawberries from which to pick, so you can pick more berries more quickly. You won’t be picking from picked-over berries. Bring your own containers or purchase baskets from our staff in the strawberry fields. Hand washing & toilet by the field. We’ll be picking bushels of these green peas in the next few days–fresh for you. Our green and yellow beans will be coming soon. The strawberry fields are in flower and starting to fruit. 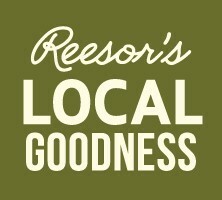 Our Reesor’s ready-picked berries will be available about June 22. We’re proud to announce that we’ve opened for our 30th year this week. With your support and lots of help from our wonderful staff we’ve grown over the decades. Thank you! We hope that this year will be better than ever for you to enjoy the fruits and vegetables that we and other Ontario farmers grow for you. This week you’ll find delicious, sweet early strawberries from southwestern Ontario. In a few weeks our own ready-picked strawberries will be ripe and ready. Happiness is the Kawartha Dairy Ice Cream delivery. 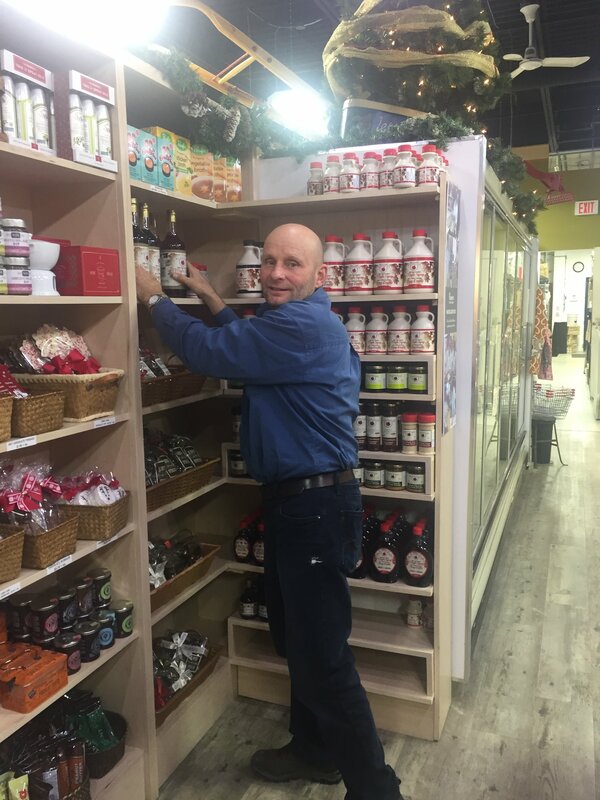 The farm market is well-stocked with lots of our own fruit pies, muffins, wholesome bread, plus butter tarts, maple syrup, preserves and other treats. Our freezers are stocked with entrees and soups made by our kitchen staff, plus sausage and organic meats. There’s lots of good eating to be done this spring and soon summer will come with all the bounty of Ontario here for you! Here’s to a great season of Ontario eating! When spring comes, it can come in a hurry! A little over a month ago all of us were wondering if spring would ever arrive. We had endured a long winter and the cold stayed right into April. But a few weeks can change everything. We are currently planting everything from strawberries to sweet corn, green and yellow beans, beets, peas, soy beans, oats and clover. The peas and the corn are even up already! Every spring-planting season has its challenges and right now we are trying to manage all of our planting to maintain moisture. It hasn’t rained significantly for weeks so we have to be careful that every seed we plant finds enough moisture to germinate.We will figure it out. I hope that you have a chance to do some planting this spring too!